Pankaj Advani said USD 40,000 is the total prize amount earmarked for the event, but hoped it could be raised in future. 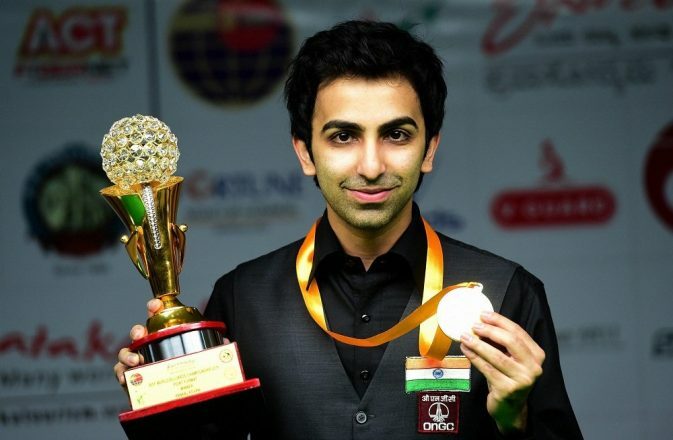 Bengaluru: India is set to host the final leg of the Asian Tour 10 Reds Snooker in March this year, ace cueist Pankaj Advani said. “We have taken up the responsibility of conducting the third and final leg of the Asian Tour 10 Reds snooker in next two months. The competition will be organised in Bengaluru,” Advani told PTI here. The first and second legs of the tournaments were held in Qatar and China, in September and October last year respectively. The third leg should have been held last year itself, but Karnataka State Billiards Association sought time to conduct the event and hence it will be held this year, Advani informed. Advani had reached the top spot in the Asian Tour 10 Reds Snooker 2018 after winning the finals held in China’s Jinan. He was at no. 4 position after Doha championship with 121.7 points. But in the Jinan event, Advani secured 201.92 points and accumulated a total of 323.62 points to grab the top spot. Doha championship winner, Muhammad Bilal of Pakistan, slipped to second place with total points of 306.18. Advani said USD 40,000 is the total prize amount earmarked for the event, but hoped it could be raised in future. Many other countries are showing keen interest in organising the event, which would benefit players to make a living out of it, he added. “Iran, Thailand and other Asian countries are showing keen interest to organise the event. So, if six such tournaments are held in the Asian circuit, it will give enough scope for players to make a living out of the sport,” Advani said. Advani had won the second leg of the event in Jinan after thrashing China’s Ju Reti in the final.